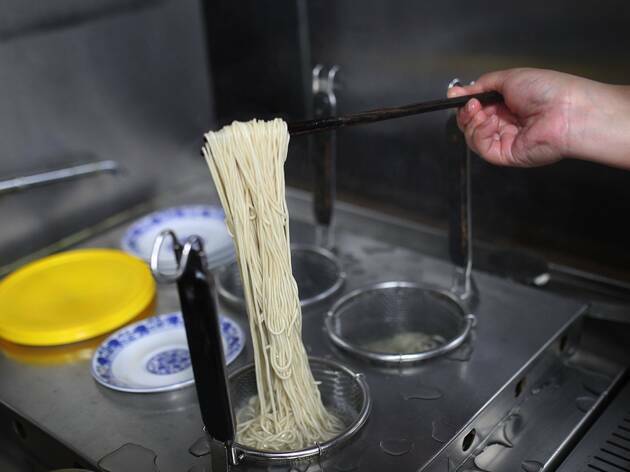 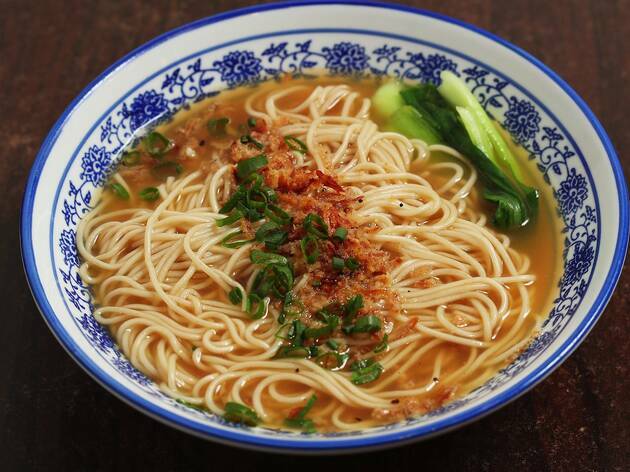 You can’t visit Nong Tang without trying the traditional dry noodles with spring onion and sesame oil, otherwise known as yang chun noodles (also available in a soup). 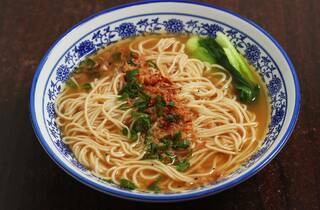 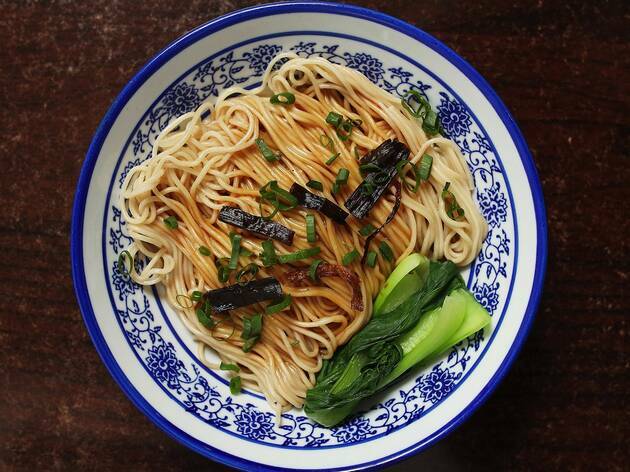 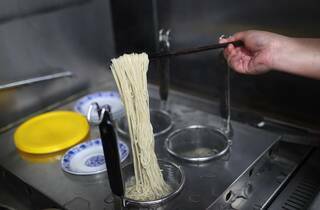 The thin, delicate handmade noodles, crafted from three different kinds of flour, sit in a pool of soy sauce and sesame oil with deep-fried and fresh spring onion scattered on top. 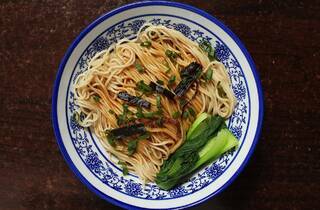 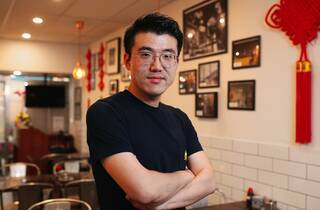 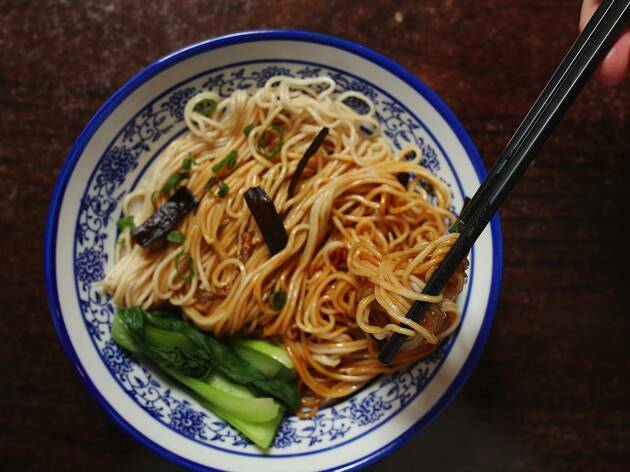 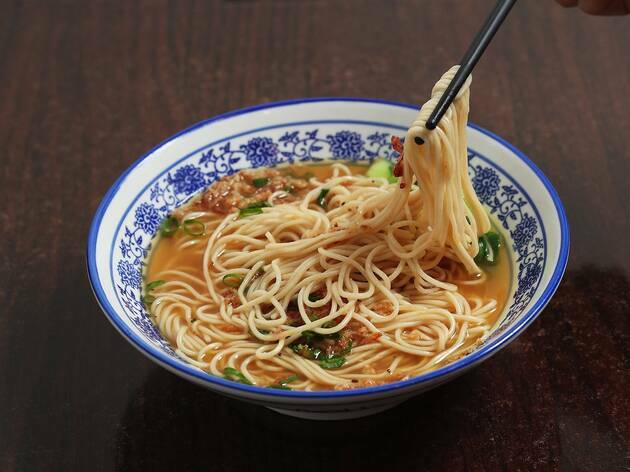 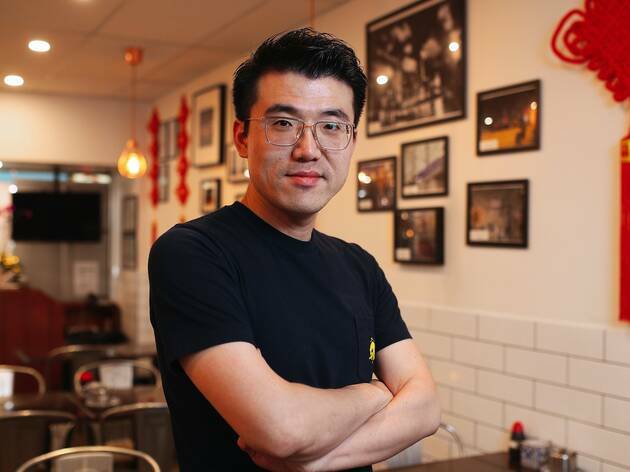 Those uninitiated with the cuisine may eat the noodles by themselves, but Shanghainese born- David Yang behind Nong Tang wants you to think about the noodles as a base to which you add side dishes to create your perfect meal. 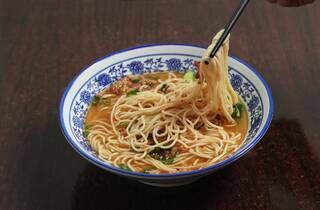 A highlight is Nong Tang’s ‘eight treasures’, which defies classification due to the sheer number of disparate ingredients in it. 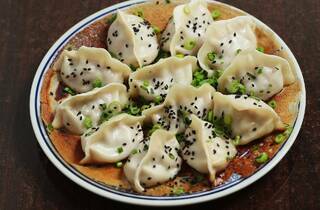 Diced pork, chicken, potato, carrot, tofu and onion are tossed in a soy sauce and chilli concoction that's equal turns spicy, sweet and salty. 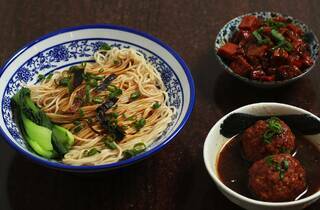 The Shanghai-braised pork meatballs in soy sauce, otherwise known as ‘lion’s head’ meatballs, resemble their Italian counterparts in shape and size but instead of being cooked in passata, the ground pork is braised in soy sauce. 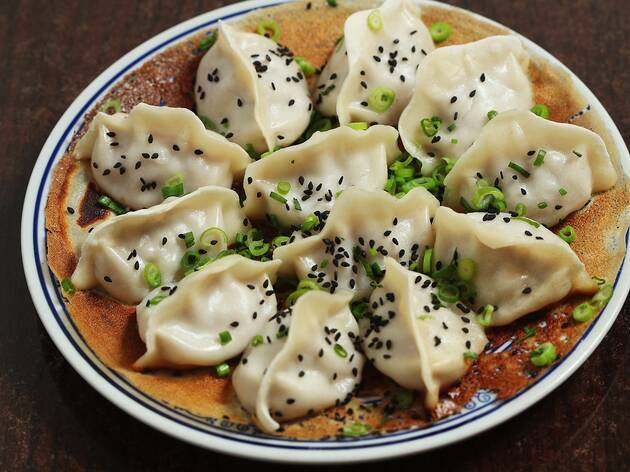 The mashed tofu mixed in amongst the fatty ground pork ensures the balls remain moist, while the crunch of the water chestnuts provides texture. 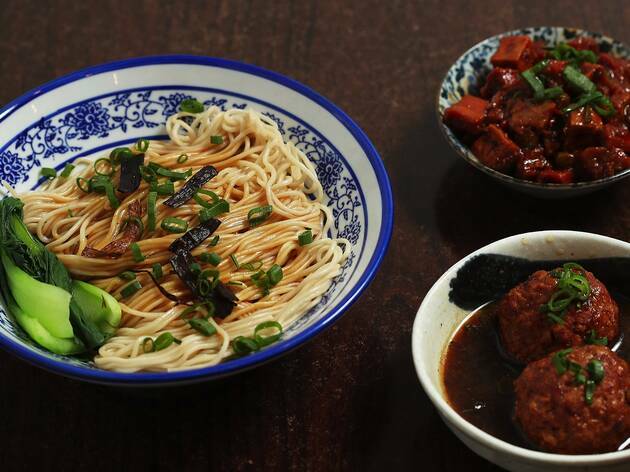 Noodles aren’t the only game here. 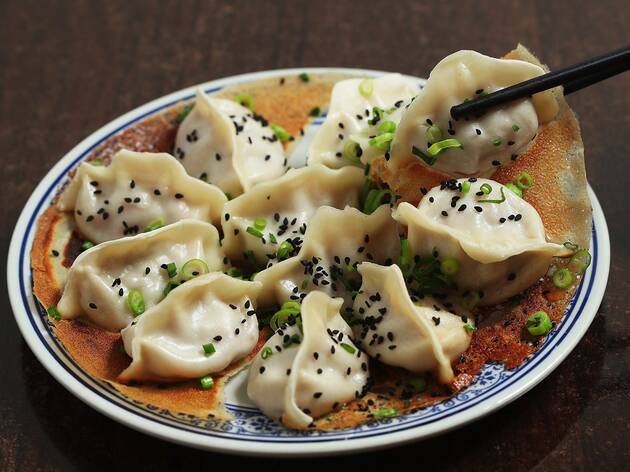 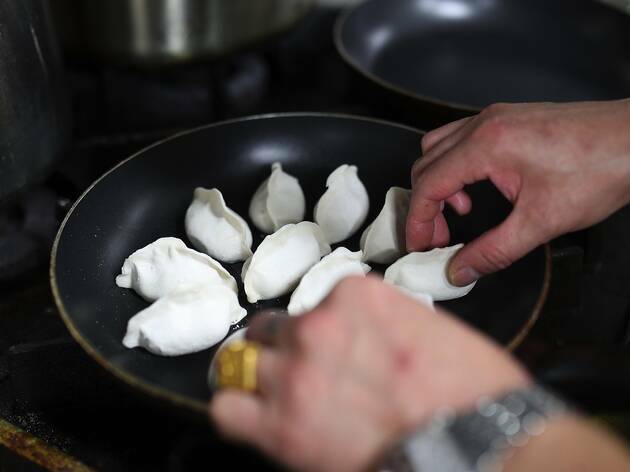 The crescent-shaped, pan-fried, broth filled pork dumplings have pleasantly chewy exteriors and crisp, browned bottoms – tackle them as you would a xiao long bao, by nibbling off an edge, sucking out the broth and eating the rest of the dumpling dipped in a heady combination of chilli oil and vinegar. 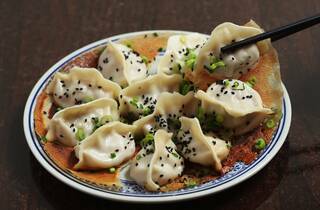 Chilli oil, with a distinctly sweet aftertaste from the use of sugar-tinged soy, pools in the slippery folds of the pork and prawn wontons, which have just the right wrapper-to-filling ratio. 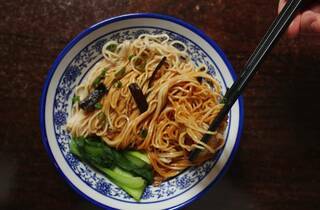 With so many big flavours in play, the braised duck Maryland with soy sauce on steamed rice is comparatively muted, but it’s the only low point in an otherwise flawless meal. 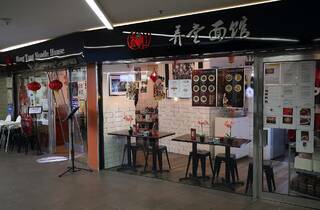 Nong tangs are the tightly packed alleyways you find in Shanghai, but in Melbourne our Nong Tang is in bustling MidCity Arcade. 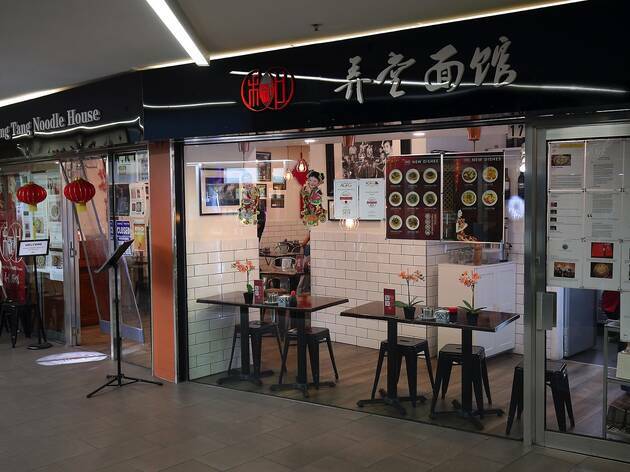 Melbourne may be teeming with restaurants named after China’s biggest city – New Shanghai, Shanghai Street and Shanghai Village among them – but when your craving has the specific shape and flavour of yang chun noodles, it's time to home in on Nong Tang Noodle House to get your fix.